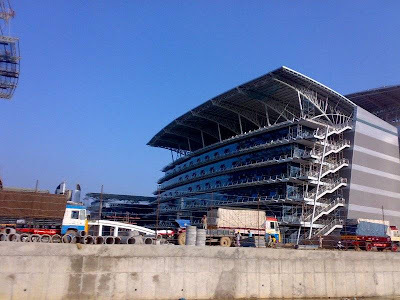 I'm working in Tcs,Siruseri..Its true that this building is the Asia's largest one.. There are totally 25,000 employees working here.. 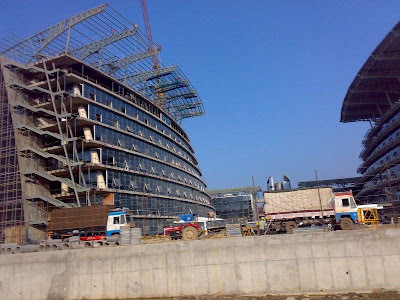 They are still expanding their infrastructure and couple of blocks are getting added so that all TCS employees working all over Chennai,like in Vadapalani,Velachery ,etc..,, 'll be shifted here.. so it may accomodate 1lakh(approx) employees as a whole..!!!!!!!!! 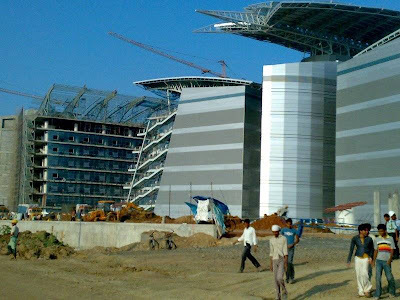 And according de the infrastructure, it has a butterfly design in its top,, as u can see in these pics.. it was designed by L&T group.. and it had costed 1024crores for construction...the design is the exact replica of dat in TCS in United States..
Technopark, Trivandrum (Kerala) is ASIA's BIGGEST IT PARK.. Its developing next phases so nothing can get bigger than it. mr sandheep, myself also from kerala. If you are comparing an IT Park then compare SIPCOT IT Park vs Techno park. 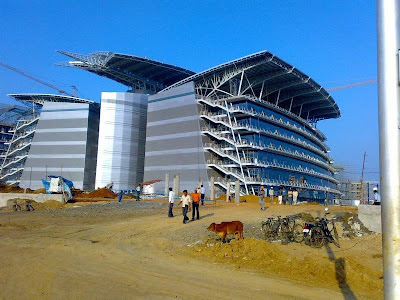 For your kind information TCS siruseri is in SIPCOT IT park..
SIPCOT IT Park is ten times bigger than Techno park. No were it can be compared. From TATA Consulting Engineers Ltd. 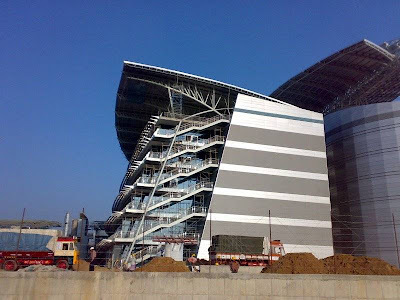 It is really very nice to see.The architecture is superb.Really we have to be proud to have such a building in India. Do you believe or not..........Recently,CCN News Channel(USA)has telecasted a documentory on this building architecture in Ameria. The 1st day in siruseri isaw it from auto....awesome.....i havn't seen before.such a nice architecture. Hola mi nombre es Adriana, soy arquitecta recibida en la UDELAR de la ciudad de Montevideo, Uruguay. Estoy muy orgullosa que este importante conjunto edilicio fuese diseñado por dos arquitectos uruguayos demostrando un gran talento proyectual y tecnológico, compromiso con la arquitectura sustentable. 1. 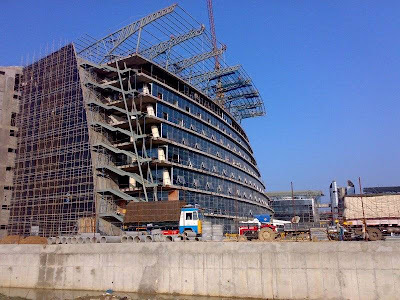 )Built up in area of 1,280,000 sq ft, TIDEL Park(chennai) is one of the largest IT Parks in Asia. The park was established on July 4(2000), developed by TIDEL Park Ltd. 2. )Siruseri TCS (Chennai)Asia's largest IT Parkis the largest Information Technology Park in Asia, located in Padur, Siruseri, along the IT Corridor, Chennai, India. It is developed in 1000 acres (4 km2) of land by SIPCOT, the State Industries Promotion Corporation of Tamil Nadu, a fully government-owned institution.